Every month, one person will be chosen for the final draw. The final draw among the finalists is set to take place in September. Finish "Warm Springs, OR" route in race mode. Finish "North Applegate" route in race mode. 1 draw for 1 Tacx Flux Smart Trainer ($899 in value) among the chosen finalists who completed this level during the Rouvy Season 17/18 official period. Every month one person will be randomly chosen for the final draw. Prizes are not exchangeable for money and to be shipped to the winner(s) by Tacx according to standard shipment terms to your country. 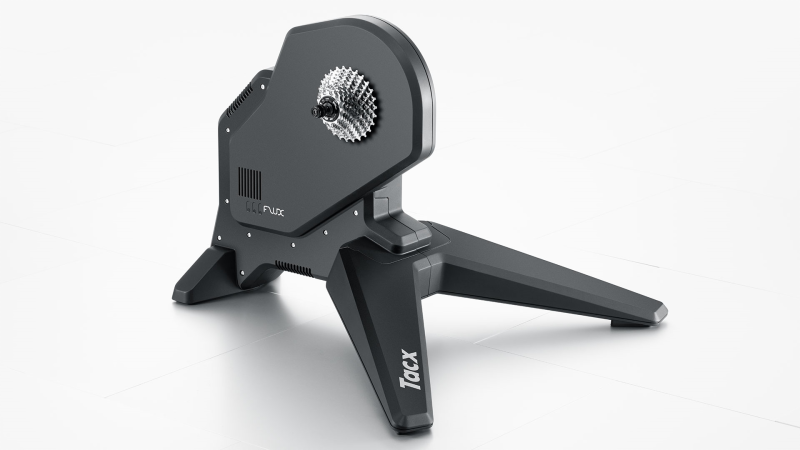 Tacx FLUX is a compact and realistic interactive direct drive and is maintenance-free. The swift response of the Smart electronics and the 7kg flywheel transmit the slightest fluctuations in resistance directly and accurately to your legs.